Because of the size and scope of custom-built luxury homes and the complex concerns that may arise, these buyers routinely ask, "Which inspections do I need when purchasing a home?" These houses require several since most of the homes are constructed on a large site with possible drainage issues, a large number of mature specimen trees, and may have a sizable swimming pool with spa that incorporates sophisticated pumps and waterfalls. The home itself may have an expansive footprint, which means multiple heating and cooling zones, lots of windows and doors, a big roof area that may have cracked tiles and interior challenges, from mold to leaks and unwanted pests. It also may have problems with high-tech electronics systems for media equipment, complex lighting programs and safety systems, from burglar to fire and water. Luxury buyers seek inspections for two prime reasons. The first is to make sure that the home is right for their functional needs, and that they won’t have to contend with major repair problems that come with deferred maintenance. The second reason is to identify any issues before removing final contingencies and provide room for further negotiation. Buyers may request a seller repair those problems prior to closing, negotiate a price reduction, or provide a credit to make a future repair. Many buyers prefer a repair credit with control over hiring vetted contractors of their choice. There are instances when sellers hire inferior vendors, and cut corners when repairs are within their control. Here is a list of inspections I recommend to my luxury home buyers. General home inspectors now provide buyers with a detailed 30+ page report with photos, and explanations next to them identifying areas of concern. It's not always convenient for our buyers to be present for the physical inspection, but our oversight and the detailed inspection report suffice. Following is a home inspections list of the 12 most essential inspections San Diego real estate agent team Aumann Bender & Associates real estate agents in La Jolla routinely recommend to our luxury home buyers. A general home inspection in the San Diego area, which may take four or more hours, typically costs about $750 to $1,250. Multiple general inspectors may be needed with larger homes and estates. This inspection is important because it identifies other areas of concern that signal the need to call in a specialist to do a more in-depth examination such as signs of prior water damage, termites, exterior drainage issues, or cracked roof tiles. The criteria for inspecting a home in San Diego differs between inspectors and inspection companies, but they are all very similar. The general home inspector typically gives only a cursory look at the roof and any pool or hot tub/spa and whether repairs will be needed—and how soon. General inspectors also help point out specific items that you may need a vendor quote for negotiations with the seller, such as broken seals on large windows. Deferred exterior maintenance is also looked at during the home inspection. Deteriorating paint, and trees growing too close to the home may also be mentioned to provide an understanding of the maintenance the home needs. We recommend The Inspectors Company, Inc and have used them for luxury properties, oceanfronts, and condos. One of the most common problems electricians find during inspections are outdated main electrical panels, which may not be up to code and may make the home vulnerable to fire if the circuit breakers fail to trip after there’s a short circuit or an overload. It is also common to see mislabeled electrical panels. We recently referred Premo Electric to a buyer considering the purchase of a luxury home. The company detailed the needed repairs—including ungrounded outlets and mislabeled electrical panels, which the buyer brought to the seller in a Request for Repairs. The cost of an independent electrical inspection usually ranges from $150 to $350, which includes visiting the site, writing up an electrical inspection report, reviewing the original home inspection, and providing any bids. The SD Municipal code SDMC ordinance 147.04 affects all properties that change ownership and receive water from the City of San Diego Public Utilities Department. Potential buyers and sellers can determine which water district a home is in by visiting the San Diego County Water Authority website. Prior to close of escrow, the seller has to complete the city’s Water Conservation Certificate. If the seller agrees to complete it, a plumber should be called in to verify that all toilets, waterless urinals, sink faucets, shower heads, and reverse osmosis systems comply with codes. A plumber should also check any drain lines that run from large, older homes to the sewer with a sewer camera inspection, which may never have been done or in recent years. JC Plumbing and Courtesy Plumbing are good choices for these camera inspections. Other common plumbing problems found during general inspections such as bracing water heaters and areas with suspected prior leaks also need to be addressed further, with solutions and bids for work provided. The cost of a camera inspection varies by size of the property and drains but generally runs about $450. Mold inspections are ordered if there is suspicion of prior major leaks or if the home lies close to the ocean. Tell-tale visible signs are a surface stain, discoloration, or dark growth. A prevailing musty smell also offers a significant clue. We highly recommend Precision Mold Testing for same day results. They have the fastest turnaround in San Diego that we've found. Expect to pay $600 for three air samples sent to a laboratory for testing, with a turn around time frame of 48 to 72 hours. Please include attribution to www.luxurysocalrealty.com with this graphic. If any audio and visual system connections are concealed within walls and not visible, they should be inspected to determine if wiring is connected, all speakers work, and systems operate 100 percent--and also easily. In one recent sale at the Meadows Del Mar, we hired San Diego Sound and Michel. The sound system was a dinosaur that might have cost $30,000 to replace, which most sellers wouldn’t agree to since some parts might still function. The company found that some speakers didn’t work and problems surfaced periodically such as intermittent disconnections. A detailed written performance was provided with a bid for repair and necessary upgrades, which we were able to use to negotiate a credit towards a new system. Effective January 1, 2011, all California one- and two-family residential properties and townhomes were required to have fire sprinklers installed during construction. Many homeowners don't know this and that they also need to have residential sprinklers tested and inspected regularly. Water can stagnate in the pipes, and hydrogen sulfide may turn into a black sludge that smells like rotten eggs. If a fire occurs, a homeowner would not just incur expected water damage but the black sludge would cause additional damage. ASI Fire Protection will come out during escrow to take a look at residential fire sprinklers and make any necessary recommendations. Luxury homes often have HVAC systems with multiple zones and components. An HVAC contractor will inspect and provide recommendations for exhaust fans, ventilation, thermostats, heating, and cooling components. The most common identified concerns are clogs in the condensate drains, dirty air filters and dust build-up, all of which can stop the system from functioning well. SD Air Quality and ASI Heating & Air both perform superb work and charge about $350. At this time, a buyer may want to purchase an annual HVAC service contract; ask for prices and what it covers in advance. A termite inspection is no longer a standard seller responsibility in the California purchase agreement, but this inspection is highly recommended. Termites and pests like powderpost beetles threaten the integrity of a structure. Signs of rodents are also looked for. We recommend Hume Termite, Thrasher Termite, and WSquared. Expect to pay about $75. National Fire Protection Association (NFPA 211) Standard for Chimneys, Fireplaces, Vents, and Solid Fuel-Burning Appliances suggests an annual inspection for the ultimate level of safety and efficiency. A chimney and fire specialist will inspect the firebox through the chimney crown using the same video optic equipment that they inspect drain lines with. The chimney fire inspector is looking for blockage, chimney leaks, cracked chimney crowns, creosote on the flue walls, and damaged flue liners. We recommend Weststar Chimney Sweeps for a fireplace inspection during escrow. Landscaping and sprinkler inspections are important because the professionals we hire almost always discover broken sprinkler heads, timers that are on their last year of life, and misdirected sprinkler heads. A qualified company can also make suggestions regarding upgrades and water conservation, measures to save both water and money. The two landscaping and sprinkler companies our clients have worked with successfully are Olivio Irrigation & Drainage and Pacific Sunscapes. Prices vary, depending on the number of systems and their complexity but could run about $250. We also recommend an arborist if there are a number of large old trees on the property, whose roots may grow too close to a house and threaten its foundation. Removal and stump grinding may be necessary. We recommend Arbor Age Tree Service to remove dead limbs or the entire tree. Costs can be expensive and vary widely. Any time a property under consideration has a pool or spa a buyer should have it inspected by a pool expert. The inspector will look at lights, pumps, drains, tile and surrounding materials for signs of wear and leaks. If the buyer prefers to fill in the pool or update the look with new coping, such experts can also provide a bid. Rick English does excellent work but has a tight schedule. An alternative is Russ McDaniel with AKS Landscape and Design, which performed an inspection for us Disneyland style pool with slide, waterfall, and spa. He charged $150 for an hour of his time to make sure all components of a very complex system were operational, and provided a detailed invoice of work items for a Request for Repair on dysfunctional components. Russ has built and services fifteen pools around the Grand Del Mar. Pool & Spa Consultants of San Diego Steve Looby is also a great choice for a comprehensive pool inspection. 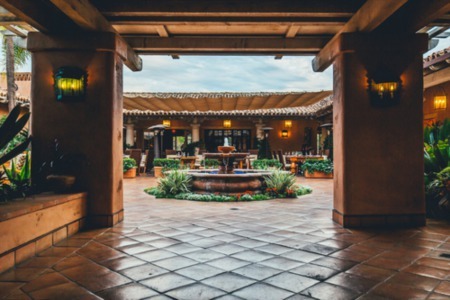 In San Diego, roofs are constructed in an array of materials, from metals such as copper, aluminum, stainless steel, to woods like cedar, redwood, and southern pine, plus clay, terracotta, concrete tile and slate. Asphalt shingles and modified bitumen are the most common. General inspectors give a cursory look at the roof. However when an experienced roofing contractor is hired, everything is examined from overall wear to individual tiles and gutters and downspouts. We've always found that when a roofer is called out for an inspection, more broken tiles and areas of concern are found than with the general inspection. A licensed roofing contractor may also inspect the condition of the felt or moisture barrier beneath the finish roof material. A deteriorated moisture barrier can be the cause of the roof leak, and not always the finish roof material. For an additional fee roofing contractors can also perform a water test on the home to determine of the roof currently leaks. We have had good experience with 619 Roofing because they provide a detailed estimate for the cost of repairs and credit the cost of the inspection, usually about $300, back toward any roof repairs that either the seller or buyer pays. 619 Roofing also provides a report with detailed photographs to eliminate any sort of deception and provide full transparency. A structural engineering inspection is not just recommended, but imperative, when your general inspector identifies a cracked slab, extensive wood rot or termite damage, or an unstable earth retention system. If not corrected, the house may face extensive damage and lives of people and pets may be endangered. Miles Lovelace of Lovelace Engineering in San Diego has an excellent track record and many years of experience as a structural engineer. If no damage of consequence is found or your are satisfied with a verbal assessment, he reduces his typical rate which starts around $850 for a written report. We recommend David W. Skelly (RCE), Principal Engineer/Vice President for his expertise in detecting the soundness of seawalls for beachfront homes on the sand or along a bluff. 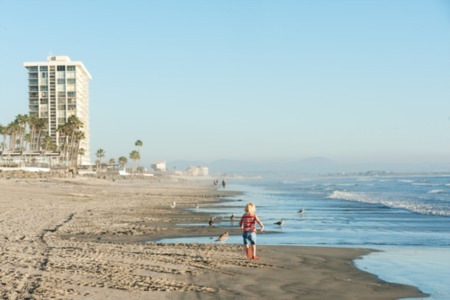 Walt has forty years of experience in southern California and knowledge of ongoing city involvement and problematic areas along the coast, and also knows which areas of the coast have more significant problems. Many times buyers just want extra peace of mind. Keep in mind the earth is always moving, and there will always be some movement and settling. Spend some time reviewing the credentials of your engineer beforehand so that you have the confidence to make a decision on moving forward with the escrow based on his professional opinion. The cost of so many inspections certainly will add up, but are only minor in the long run when compared with your investment towards purchasing a home. The effort and upfront cost could likely save thousands of dollars down the road in additional repairs and replacements. When buying any home--and certainly an expensive luxury one, it’s worth gaining that extra peace of mind. In San Diego we have sump pumps up along the bluff to help keep the bluff dry and to prevent flooding in the basement or crawlspace. I recommend McNamara Pump and Electric to come check out the system and make sure there is no root intrusions ect.